To build a house on the plot you want to put a lot of effort, but the result is worth it. After a busy day you can sit on the porch of his country house. It on the plot you can build both individual and standard project. Fast and not very costly to solve the issue of construction of houses in the country enable frame-panel houses. Consider before building a home on 6 acresx all the details of the future construction. Select the place. On building codes offset from the boundaries of the site and other buildings shall be not less than 1m, it facilitates the construction and operation of the house. Lay the Foundation. The most common strip Foundation, which has the form of a closed wall around the perimeter of the building. 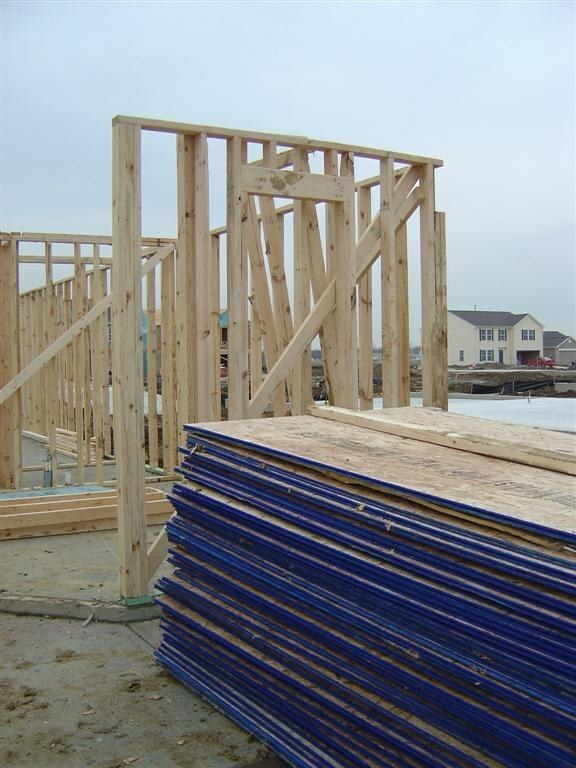 For frame houses can be erected is also a pier Foundation, it is more economical. To do this, at a distance of 1.5-2m into the soil type in the posts, positioning them along the perimeter of the walls, in corners and on the ground, carrying the greatest load, the poles hook up anchor. To lay the Foundation waterproofing. Put it on a zero 200x200 timber and fix it to the anchors. Make of masonry a basement and blind area width 250mm (1 brick). Pour the last concrete. Collect the walls from prefabricated modules. To do this, they attached manufacturer's instructions timber frame house, using the screws and screwdriver. Install ceiling and roof. Often erected gable roof with a slope angle of 20 degrees. To do this, use wooden farm 100x150, which cover the sheets in the crate 40 × 40. Overlap insulated with slabs of mineral wool or other insulation materials, prostili them on both sides with a vapor barrier. Lay on the pinned lags 200x200 flooring boards 30х150 or 30х200. You can also use a concrete screed, which cover ceramic tiles, laminate or carpet. Install Windows. To reduce heat loss supply of PVC with double glazing. Install the door. Run the internal partitions of gypsum Board (drywall sheet) with sound insulation. Inside house paint or paste over Wallpaper. Make the exterior of the building. Today you can choose for every taste. Modern insulation materials can be applied to the surface of any finishing material – "coat" textured compound, vinyl siding, etc.